This 'drifting' Suzuki Swift Sport shows what really India's missing; Come on, Maruti! This ‘drifting’ Suzuki Swift Sport shows what India’s really missing; Come on, Maruti! Right from the outset, the Suzuki Swift (Maruti Swift in India) has been a fun car. And the Swift Sport takes the fun element a few notches higher. The 3rd generation Suzuki Swift Sport, which was hotly anticipated for India, has just been ruled out by Maruti’s engineering head. Folks in Hungary show us what the Swift Sport is capable of by drifting it on the track. Watch it for yourself. 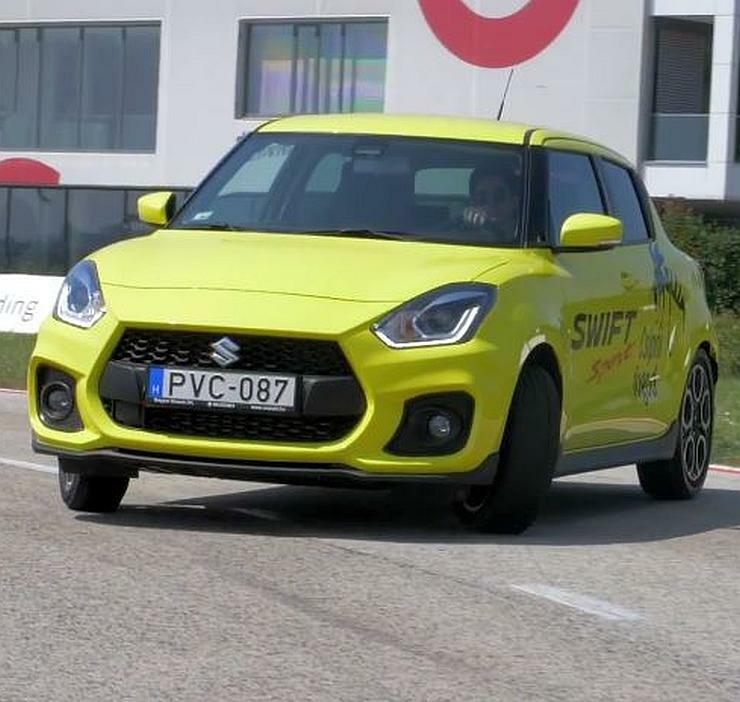 The guys who’re drifting the all-new Suzuki Swift Sport are so impressed with the car that they recommend it over some legendary driver’s cars – the Mazda Miata and the Toyota GT 86. And such high praise for what essentially is a’warm’ hatchback by international standards is nothing short of mindblowing. It’s such a pity that Maruti Suzuki feels that the Swift Sport won’t have enough takers in India. The Suzuki Swift Sport is a five-door hatchback that can seat five people, which means that it’s as practical as the regular Maruti Swift for day-to-day use. What makes the Swift Sport more special is the 1.4-litre turbocharged petrol engine it packs in. This motor puts out 140 Bhp of peak power and 230 Nm of peak torque. Transmissions are different too – 6-speed manual and a torque converter automatic gearboxes are on offer. The car also gets a stiffer suspension set-up, making the car a much sharper handler than the conventional Swift hatchback. There’s different detailing on the interiors, making for a more sportier ambience, and the car also gets revised alloy wheels and stylistic tweaks to justify the Sport moniker. If Maruti decides to ever launch this car in India, it’s likely to sit under Rs. 10 lakhs, making it affordable enough for scores of driving enthusiasts in the country. Come on, Maruti! What are you waiting for?